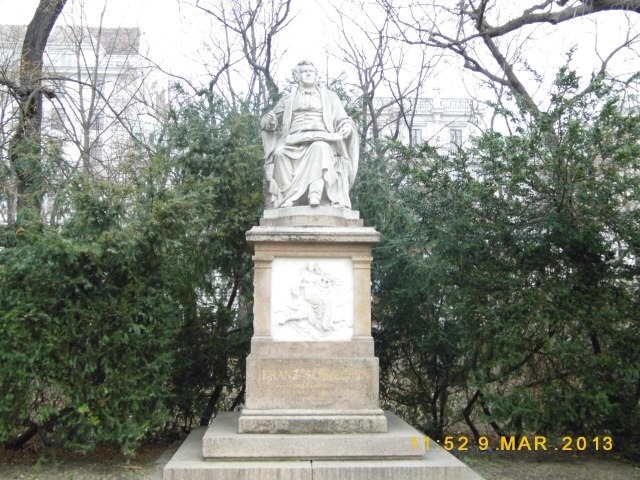 This week's photo takes me back to my trip to Vienna. 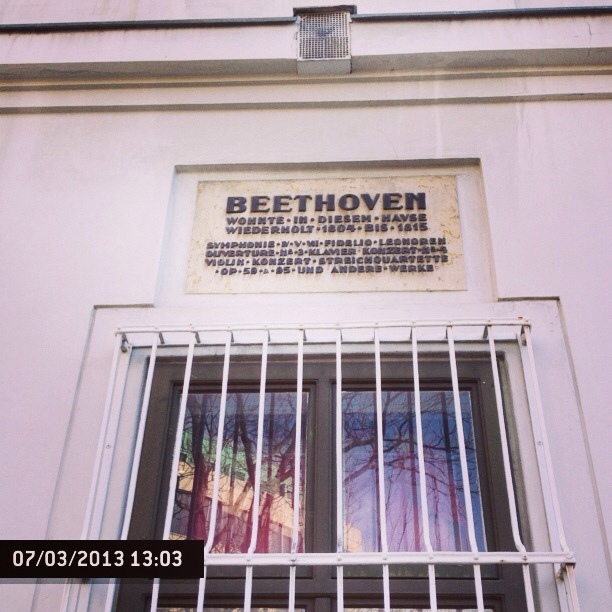 It is of the stone plaque that commemorates Beethoven's residence in Vienna. 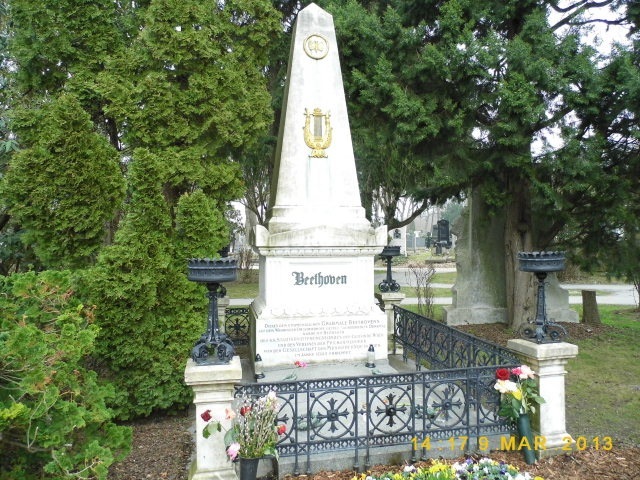 Though German by birth Beethoven ended living in Vienna for the majority of his life. 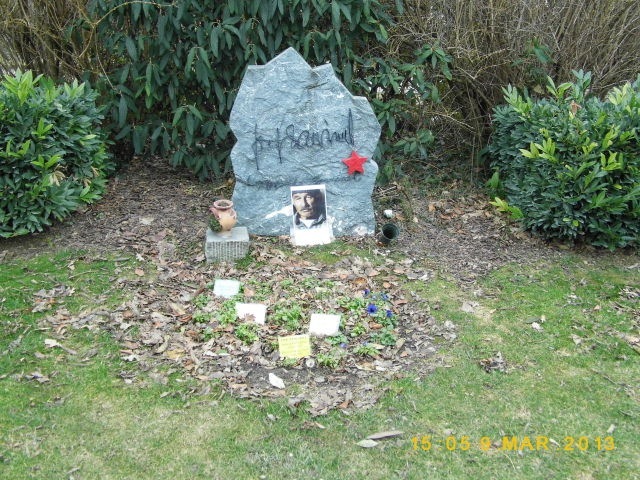 He is buried in the Zentralfriedhoff. 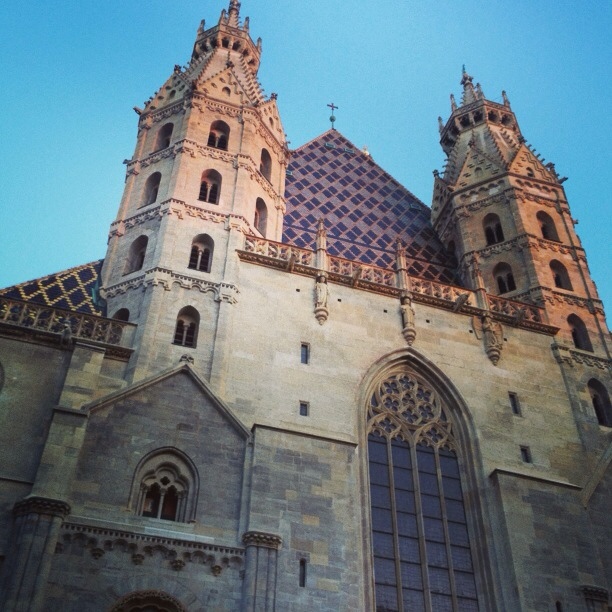 This week's photo is of St. Stephen's Cathedral in Vienna. The sun was starting to set as I took my photo. 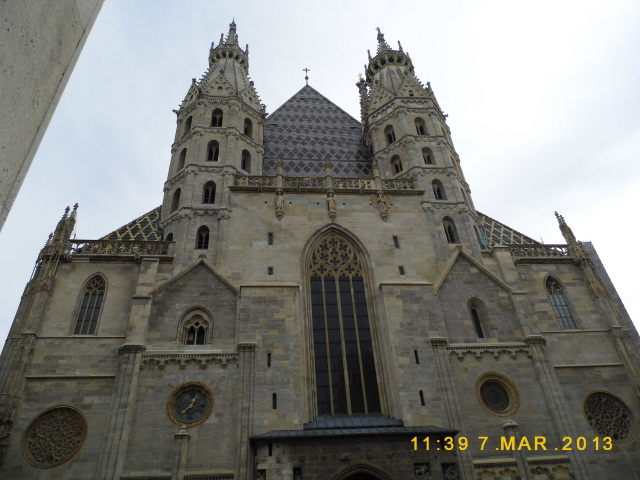 It was the final photo of my Vienna and Budapest trip in March. I could think of no finer setting to end my visit. 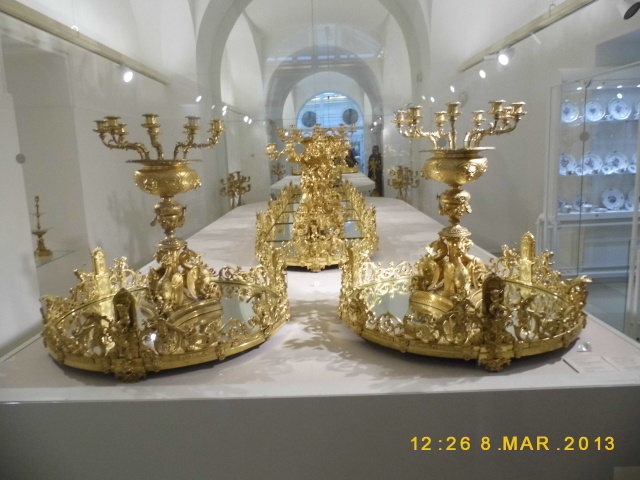 I am pleased to admit that my second visit to Vienna was more successful than my previous one. At least I avoided getting food poisoning and I also managed to get to see more of the city. Vienna as a city has always held a fascination for me. I love history and art. The reason for my first visit was to see the ‘Madonna del Prato’ by Raphael. Sure enough I managed to get off my sick-bed to get to the Kunsthistorisches Museum. However, I left Vienna I felt that there was some unfinished business. 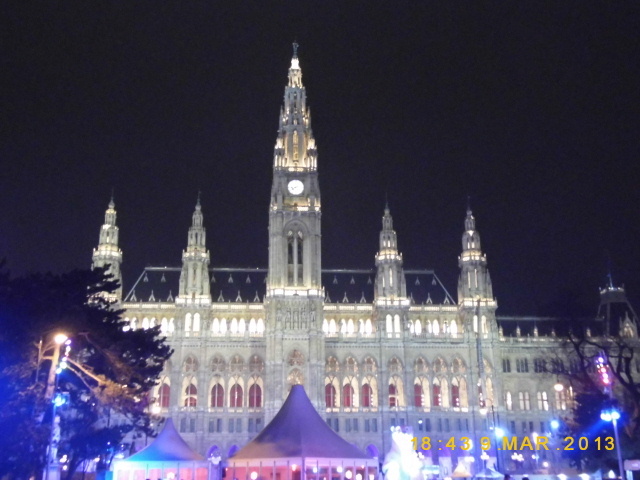 I felt that I managed to experience a lot more of what Vienna has to offer. Yet there was still more that I wanted to see. 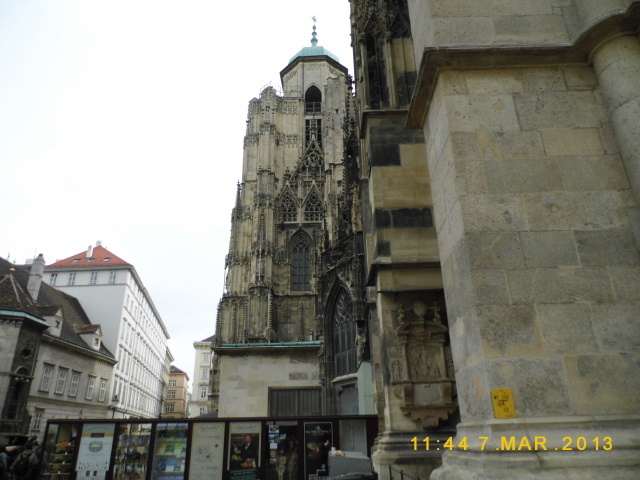 Overall, I loved my time in Vienna with its history, sights and smells. It is a city while a capital city still felt small enough to explore by foot and getting yourself lost. To experience an authentic Viennese coffee shop was a joy or experiencing the busker playing the cello outside the Hofburg on a cold Saturday night. These are the memories that never go away. 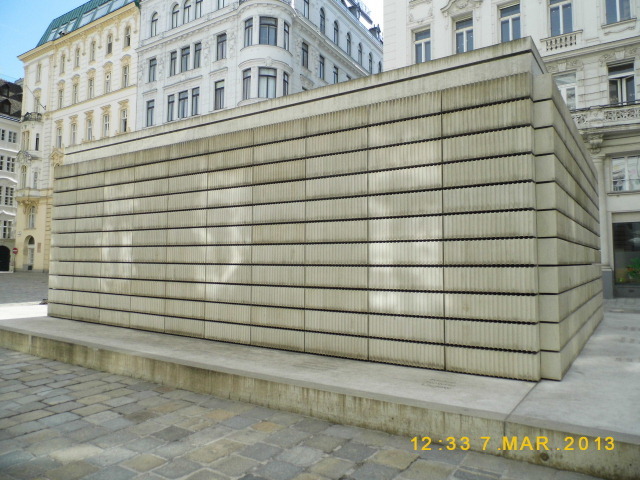 Yes, Vienna can be expensive but with careful planning there are bargains out there. Sometimes the best experiences are free. Would I visit again? The simple answer is yes. If Vienna is good enough for me then it will be good enough for you. 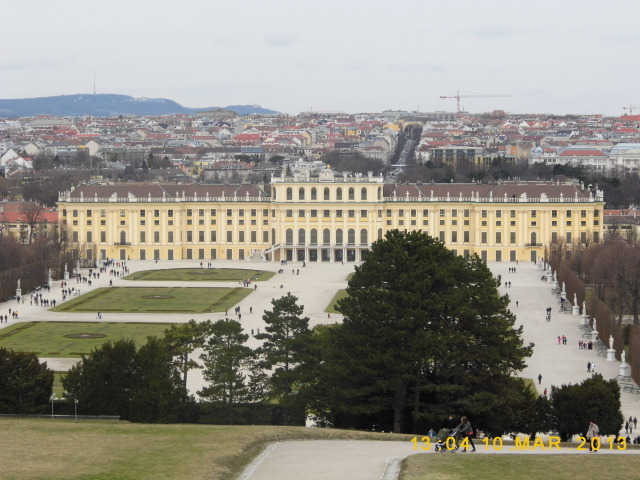 The Schönbrunn Palace is one of the most visited attractions in Vienna. 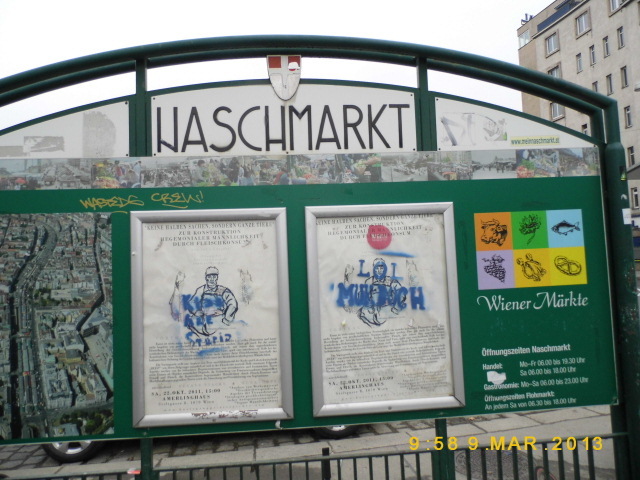 In 2011 it attracted over 2½ million visitors. Schönbrunn literally means ‘beautiful spring’. 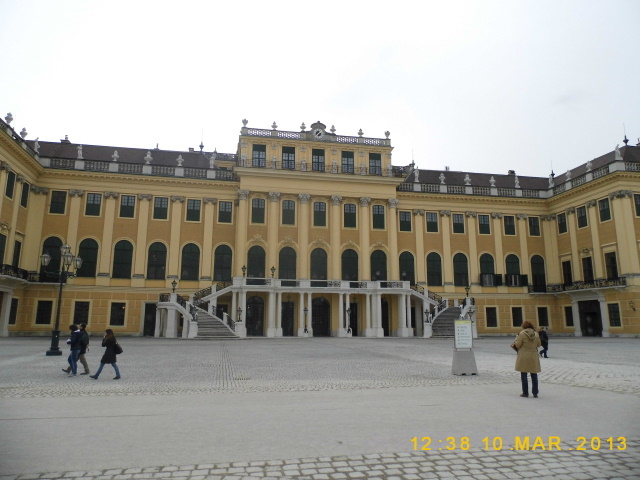 The palace was the summer residence of the Habsburgs. My visit took place in March but I could why it is so popular. There were plenty of visitors from all around the world. Visiting on a Sunday meant it felt full and there was some queuing involved. 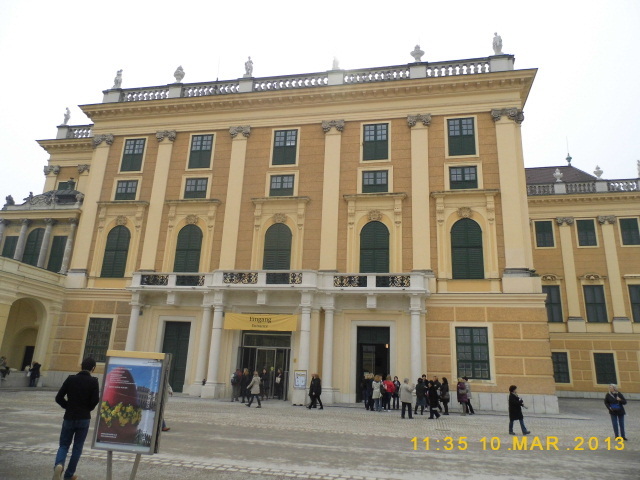 A visit to the Schönbrunn consists of two areas. The palace itself and the gardens. 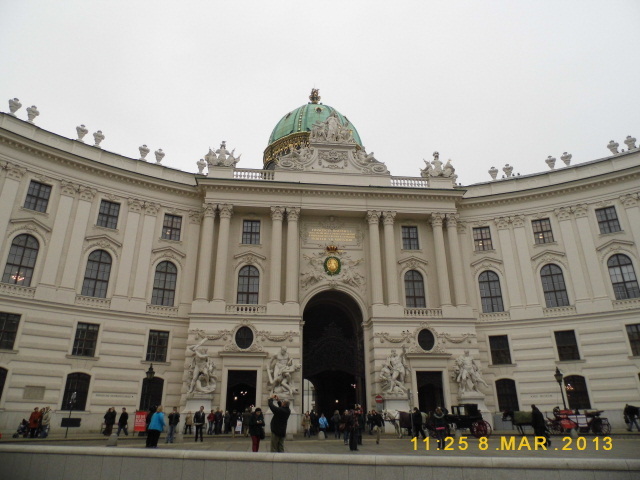 When touring the palace be aware that you may be hearing the information through the audio guide as you heard in the Imperial Apartments at the Hofburg. Also you are unable to take any photographs. In fact you are not allowed to take any bags into the palace. The tour itself was fascinating and there were some interesting exhibits. However, I felt it do not last too long and was value for money. My mood changed when I went into the gardens. This is the real attraction of the Schönbrunn. Despite it being March and weather was a little chilly the gardens looked magnificent. I must have spent at least three exploring. There were paths leading off to the zoo and woods. When you climb the hill towards the Gloriette you are treated to splendid views. I found myself taking plenty of photographs. I made my way up to the Gloriette. Maybe it is just me but I was disappointed to see it used as a cafe. 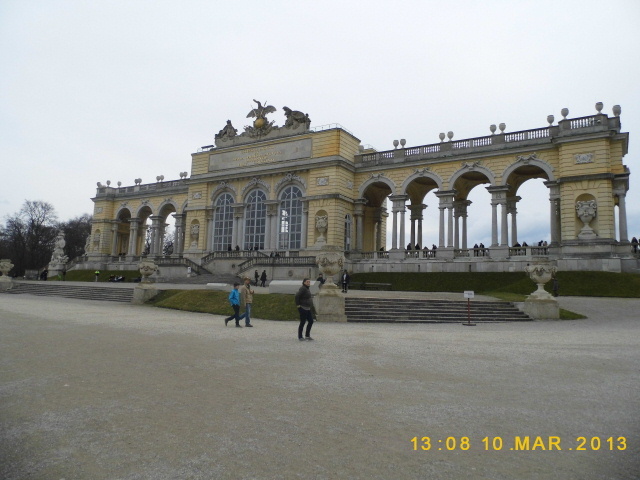 Overall, I enjoyed my visit to the Schönbrunn Palace, especially the gardens. Sure they would look better in the summer but I feel that it could be too crowded to enjoy. I was glad that I visited in March. This week's photo is slightly different to the norm. 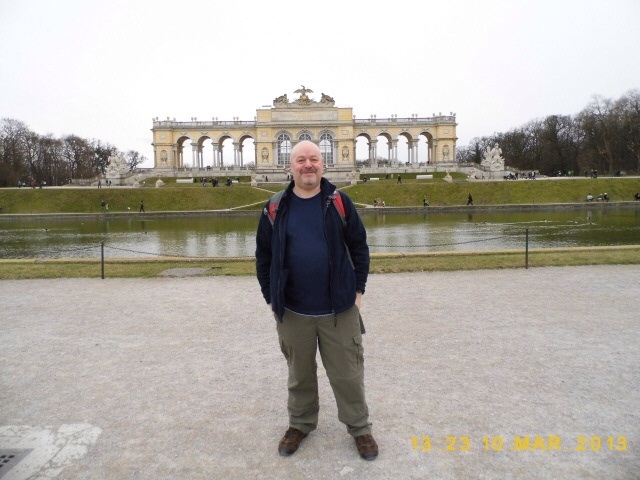 It is of myself at the Schonbrunn Palace in Vienna. As you can see I look rather pleased with myself. This photo is posted to help celebrate the 1st birthday of the blog. I know it is an unusual place to visit but I find cemeteries fascinating places to visit because they are full of history. 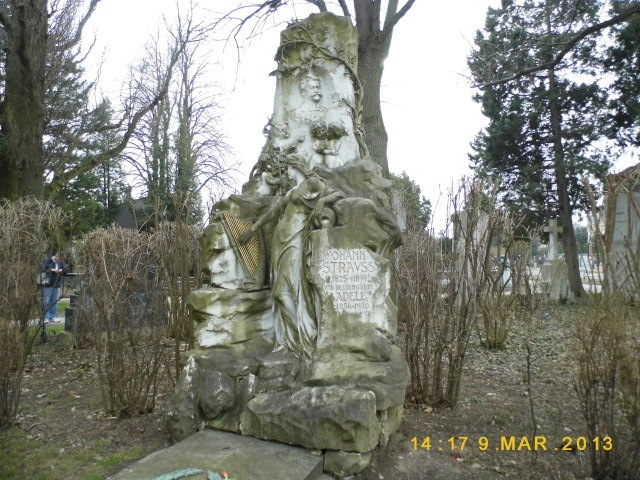 Zentralfriedhof (Central Cemetery) falls into that category. 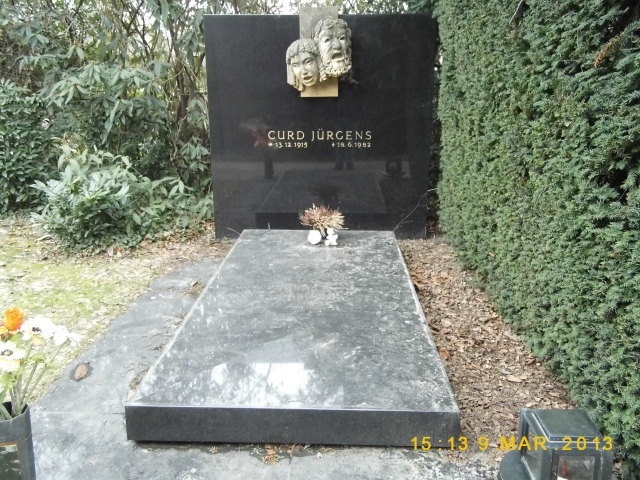 There is also a memorial to this composer who was buried in a umarked grave. What I found touching were the simple family monuments that had been looked after over the years. 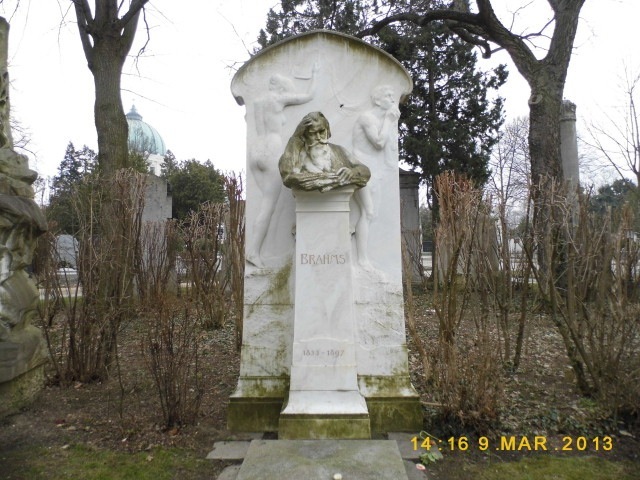 If you are still wandering whether you should visit the Zentralfriedhof may I remind you one of the reasons why cemeteries were established. They were the original green spaces where people could escape from the city. In that respect it does the job as you can escape with no problem. The quietness and stillness really contrasts with the bustle of Vienna city centre. It made me think of my own mortality and remember the people who I have lost in my life. It also serves as a reminder that life is short and we should make the most of it. 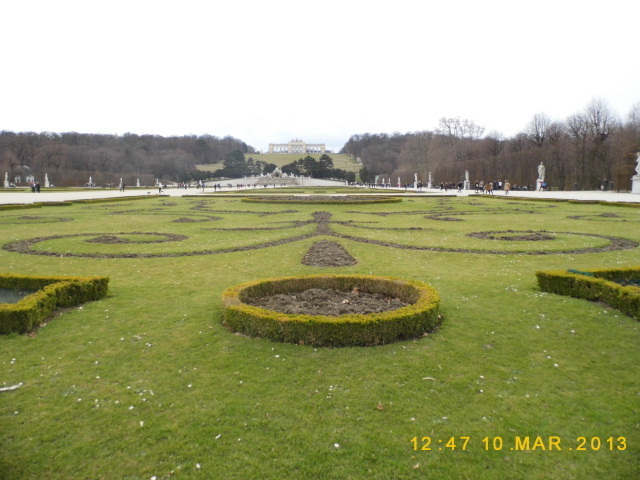 Vienna is renowned for its parks. 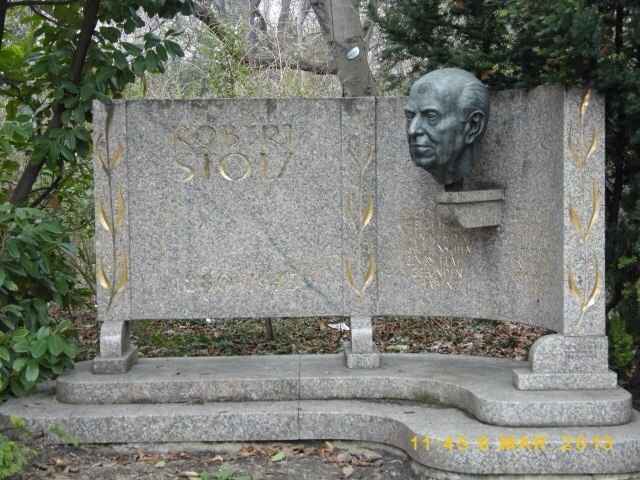 One of my favourites was the Stadtpark. Dating from the 19th Century it is popular with both locals and tourists. 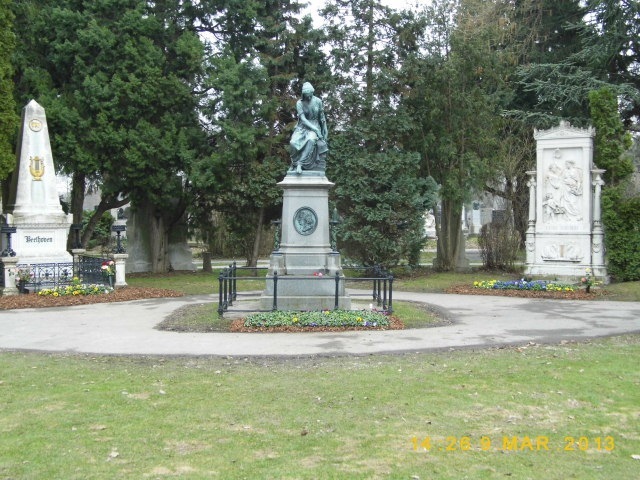 Inside the park there are monuments to the composers Johann Strauss, Franz Schubert and Robert Stolz amongst others. 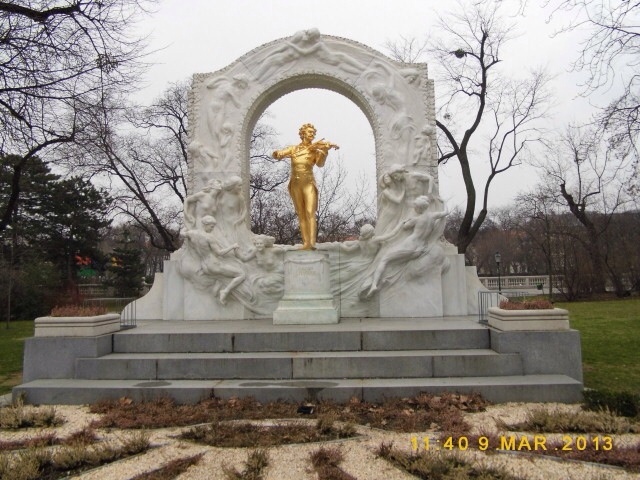 In fact the Stadtpark is home to the largest number of sculptures and monuments than anywhere else in Vienna. There are plenty of chances to admire the plants in the park throughout the year. 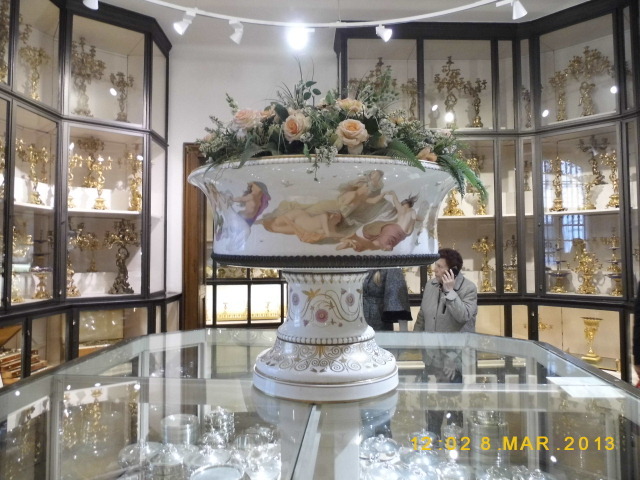 However, visiting in March meant there was little to see in regards to flowers. 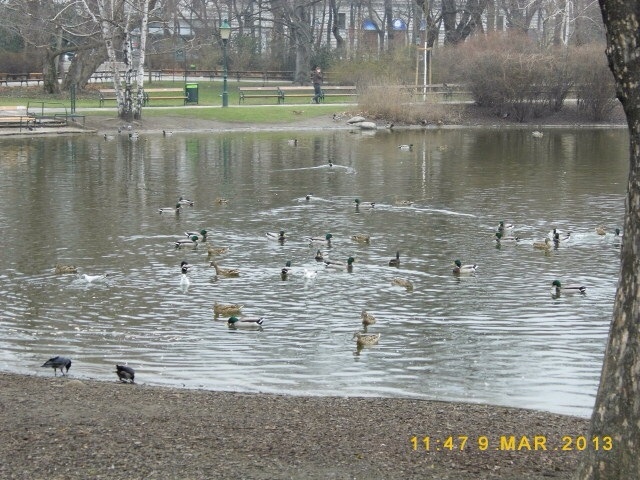 There were plenty of birds swimming in the lake. It always relaxing to see them swimming carefree. Stadtpark is the perfect place to visit if you are looking to escape the bustle of Vienna. I would suggest an ideal spot to have a picnic lunch when the weather is warm. 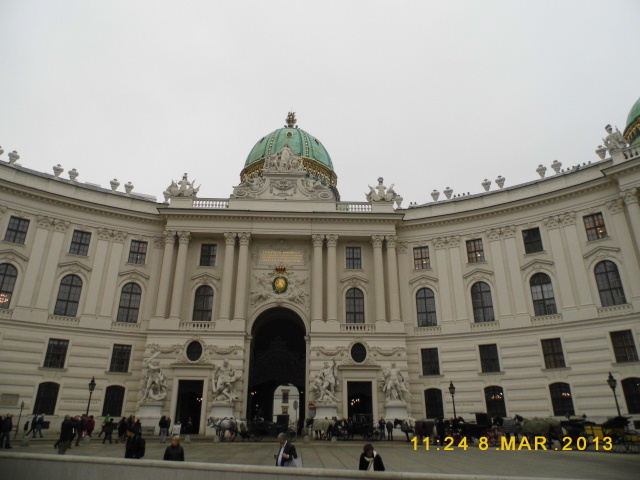 The Hofburg Palace was once home to the Habsburg Family who ruled the Austro-Hungarian Empire. 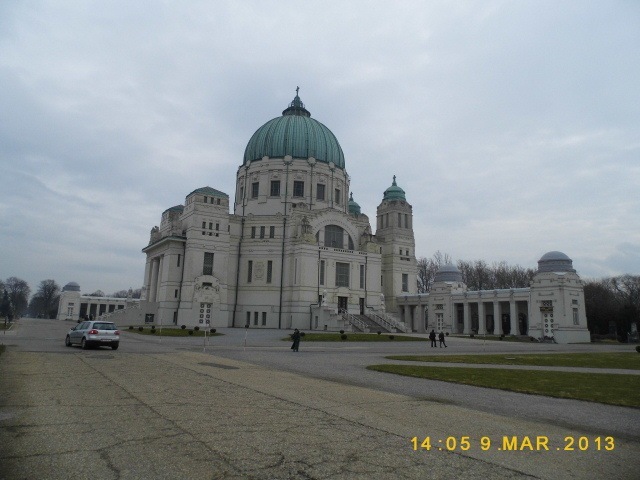 It is now home to the President of Austria. Before entering I would recommend that you take a walk around the building. Whatever the weather or time of day it is a magnificent structure to view. Sadly my photographs does not do it any justice. This is home to a collection of dining services, glassware and silverware. There are certainly impressive collections of china that have been accumulated from around the world. I suspect that a lot of the pieces were used only sparingly. The most impressive exhibit must be the ‘Milan Centrepiece,’ It stands at thirty metres long. There is also the Grand Vermeil Service which could serve up to 140 people at one sitting. 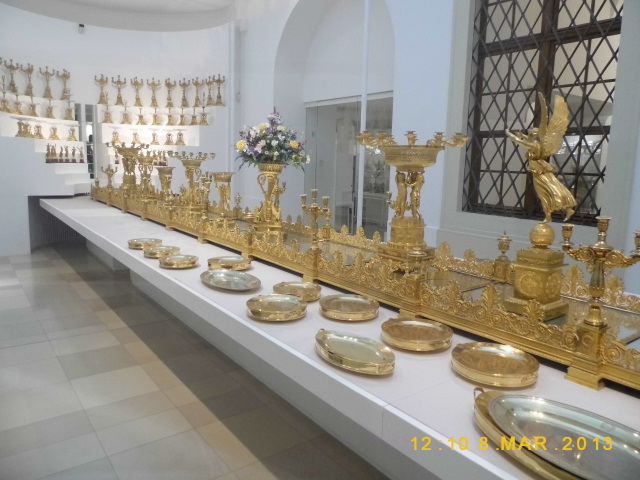 The collection is a perfect opportunity to take photographs as you marvel at the opulence of the Habsburgs. Next up is the Sisi Museum. 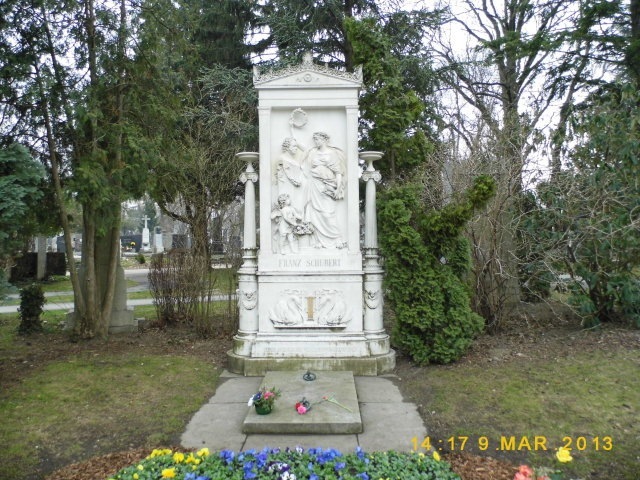 This is dedicated to the Empress Elisabeth who is a revered figure in Austria. This may be down to the tragic way here life ended. The museum revolves around Sisi’s private life and contains plenty of personal artefacts belonging to her. Sadly, you are unable to photograph any of the exhibits. What the Sisi Museum does well is that it is not a shrine to the Empress but will point out all her flaws. 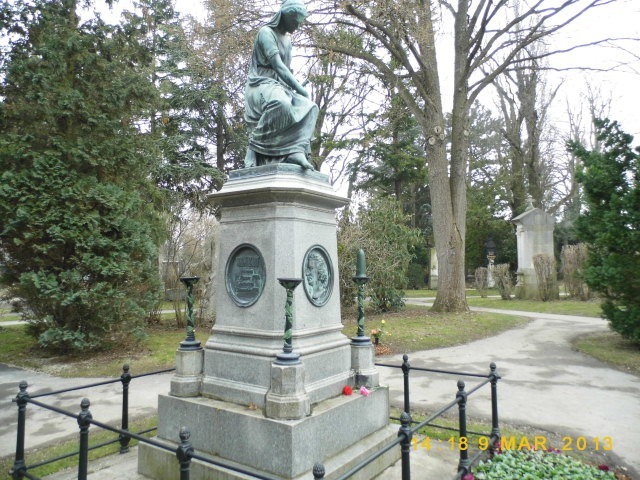 The impression that I was left of her was that she was a vain selfish person towards the end of her life who neglected her husband and country while she went off on her travels. I suppose the nearest person who I compare her with is Princess Diana. The final museum to visit is the Imperial Apartments. 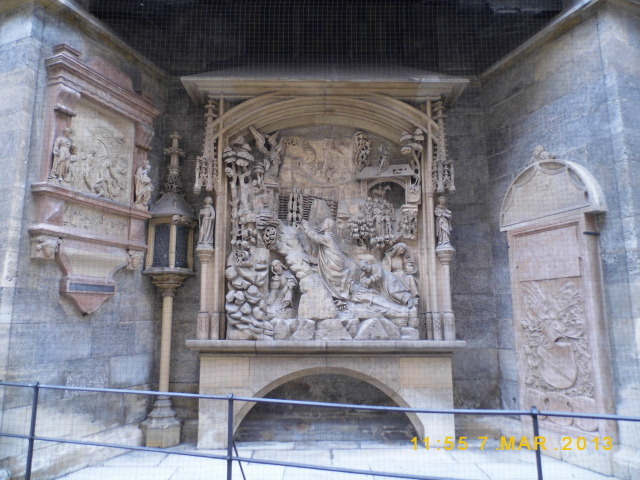 These were the private apartments of the Habsburgs. It is the chance to see the offices, private quarters and bedrooms. Like the Sisi Museum you are unable to take any photographs. 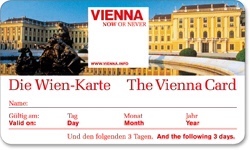 I found the museums to be of good value especially if you hold a Vienna Card. You will get a discount of between 7-9% off the normal admission charge. It is the perfect opportunity to surround yourself in the decadence of the Habsburgs. 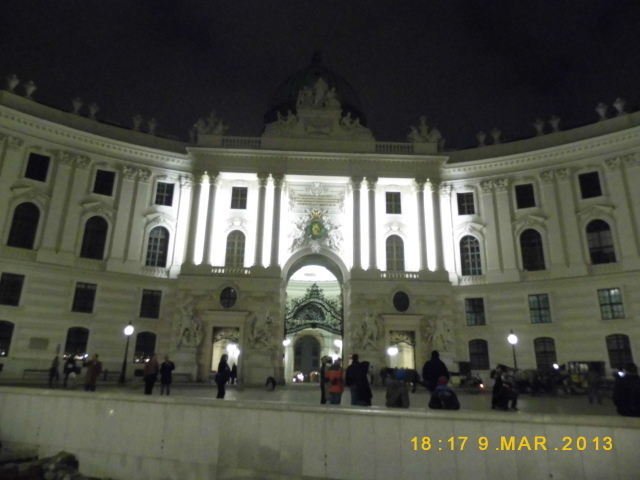 Hofburg Vienna, Michaelerkuppel, 1010 Vienna. 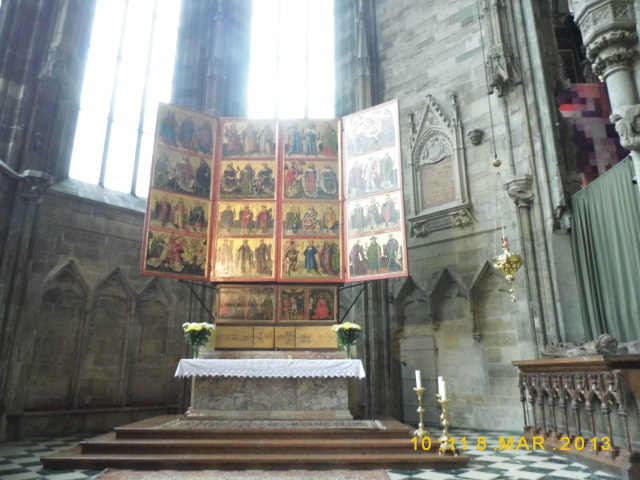 One of the best attractions in Vienna is St. Stephen’s Cathedral. 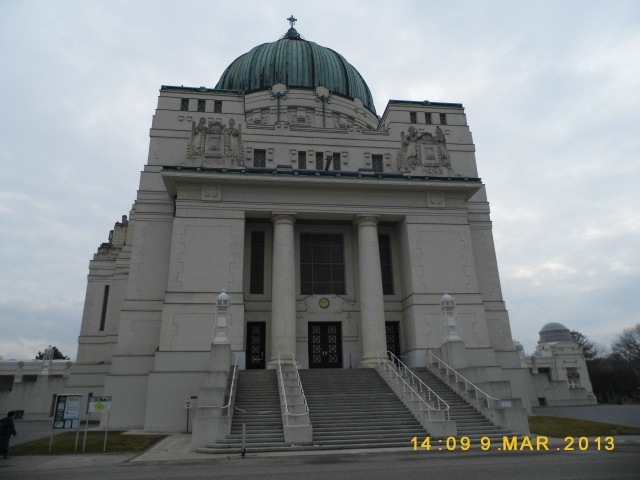 It is the most important religious building in Austria. There has been a church on the site since the 12th century. When you arrive do not be surprised to see a lot of scaffolding and cloth covering the building. This is due to pollution turning the limestone exterior black. Restoration is currently underway. 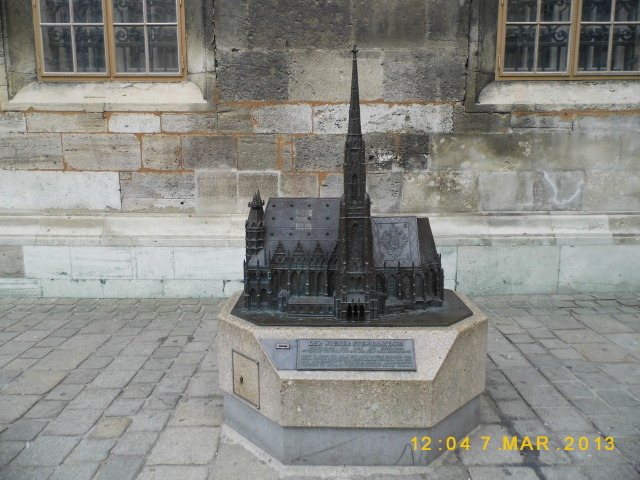 There is a scale model outside where you can get a perspective of what the cathedral looks like. First thing to do is tour the outside of the cathedral. There are plenty of photo opportunities. Inside the cathedral you can purchase an all-inclusive guide tour. This costs €12.90 and includes an audio guide, a tour of the Catacombs and access to climb both the North and South Tower. 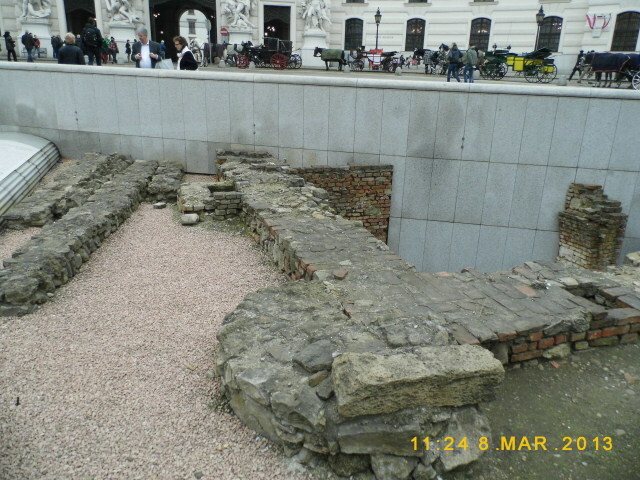 The tour of the cathedral with the audio guide follows a set path with twelve points of interest. This takes about one hour to complete. This tour can be purchased at a cost of €5.00. The Catacombs can be toured separately for €5.00. 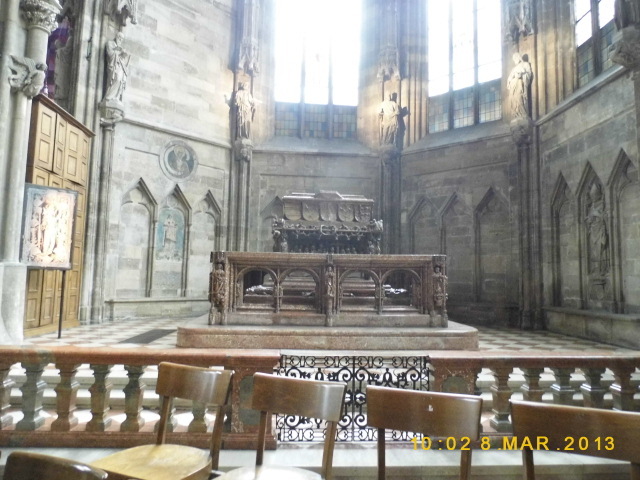 Also known as the Ducal Crypt it holds the bodies and internal organs of over 70 members of the Habsburg family. The tour lasted for 30 minutes. Photography is not allowed. I would love to tell you about the North and South Towers. 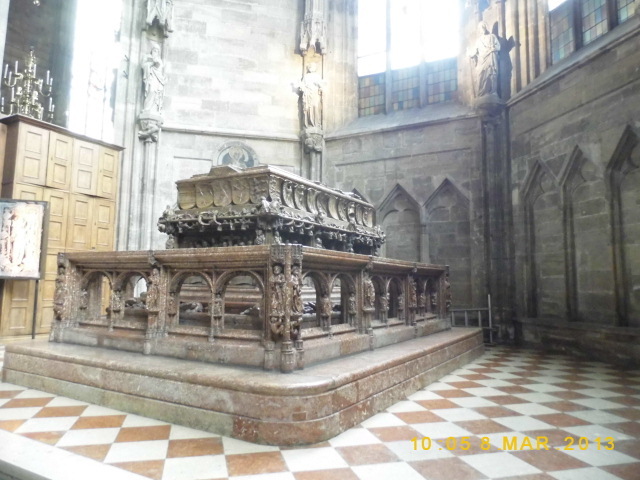 However, I was visiting on Friday and the cathedral was closed for a lunchtime service. I could use my ticket for later on in the day. But I missed out as later in the evening as another service was taking place. My tip is to avoid visiting on Friday and Sunday.